Our main objectives are to enjoy and promote dinghy sailing and racing. We have a year-round programme of social events, including barbecues, bonfires and trips to external sailing events, but the heart of the club is sailing. We do our racing on Sundays and Thursday evenings, and we run training for members on weekday evenings. We also have a great Kids’ Club on Fridays, and a whole week of fun for the kids in August. 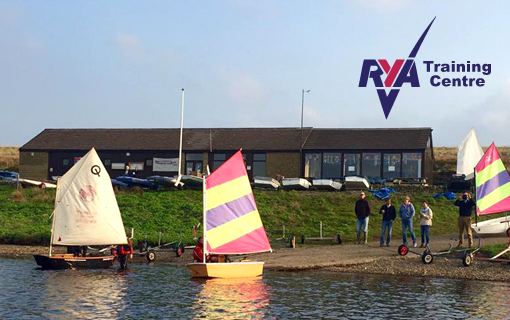 We are an RYA-approved Training Centre able to provide our members with Sailing, Racing, First Aid, and Powerboat courses. Our low-cost courses are certificated and recognised world-wide. We are also a Volvo ‘Champion Club’. The club also hosts both Sheffield Universities and Huddersfield Sea Cadets. Most members own their own boats, and there is a wide range of different classes represented – mostly single-handers. The dominant -two-man class is the Scorpion. However, the club has a varied fleet of club-owned boats which are used for training, but may be hired by members for casual sailing or racing. Sundays December until March Extreme sailing. Lots of short races, and it's cold ! Some of our more competitive sailors enter National Championships, and/or Open meetings at other clubs. For example we usually have a contingent attending Filey Regatta (July), Bala Regatta (August), and the Southport 24hr Race (September). Changing facilities, showers, hot and cold food and a bar are all available in the modern, recently extended clubhouse. There really is no better way for you and your family to spend a sunny weekend or relaxing evening after work or school. You can find out more about our facilities and how we run the club here. Members are required to help with the running of the club, which in most cases consists of two or three ‘sailing duties’ per year. Duties can be either acting as race officer or assistant which means managing the races start and finish times, or being a member of a safety boat team, or perhaps helping out in the galley. We run training programmes for club members, teaching basic sailing skills, racing skills, first aid, and powerboat driving. These run on weekday evenings or weekends. Our full training schedule is available here. We have lots of spare sailing clothing, but once you begin sailing properly you would purchase your own buoyancy aid and wetsuit. In local shops like Boats Bits, Robin Hood and Decathlon you can buy a buoyancy aid for between £15 and £35 and a wetsuit for between £50 and £100. Ebay also has lots of good sailing bargains, both new and used. We also have a number of different club boats, suitable for all ages and abilities, that any trained member can hire daily or hourly, either for practising their technique or for club racing. Latest information on hire rates for club boats is here. Most new members would purchase their own boat after a year of sailing. Prices range from about £500 to £5000 for a good boat, but they don’t lose much in value and can usually be resold or traded up for a similar price. 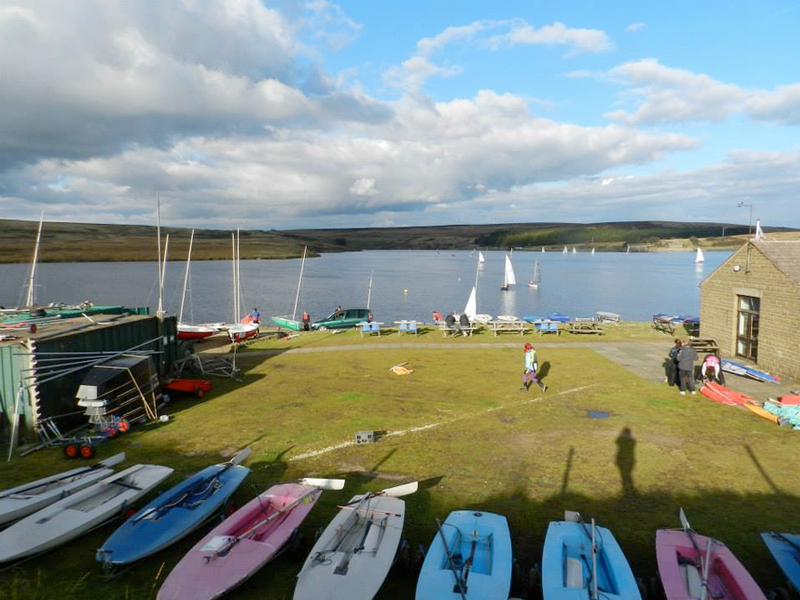 Join Pennine Sailing Club and Learn to Sail at an RYA Approved Training Centre.